Send us your project details. We build turnkey systems and refurbish exisitng systems by sandblasting, painting, and retrofitting your system. We also integrate present motors, transmissions, and pumps into new skids and tanks. Tanks can be stainless steel or epoxy coated. We have accessories for ALL applications: Power take offs, Winches, Pumps, Hoses, Fittings, Custom Control Consoles, Auto Cranes, Chain Binders, and Tool Boxes. Midwest Automation manufactures turnkey conveyor systems, mezzanines and structural steel systems for any industry or application. We can handle specialized needs and design a system that will meet your specifications. We can evaluate customer needs and provide solutions to material handling problems. Our engineers can also design machinery, work cells, and other specialized solutions. We provide complete panel fabrication to control new or existing systems. Along with mechanical design, we offer controls and software engineering, including drawings and documentation. We provide turnkey installations and systems integration of conveyor systems, presses, cut to length lines, metal forming lines, and other applications. 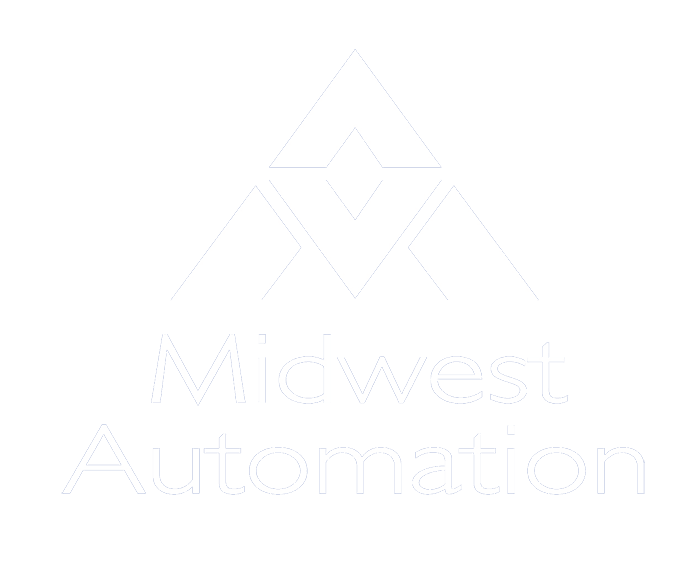 Midwest Automation can provide you with all 3 of these essential factors. Emergency breakdowns are the priority of our Service Department. Restoring your equipment to full production as quickly as possible is the key to your company's success. All of our service technicians have at least ten years experience repairing and maintaining overhead crane systems and have received extensive factory training from major manufacturers, such as P&H, Shaw-Box, Yale and CM. Our service technicians know how to identify the source of problems quickly, develop a repair strategy and effect repairs as quickly as possible to restore your equipment to full production. Midwest Automation maintains an extensive inventory of replacement parts for most major brands of hoists and cranes. For non-stock items, our Parts Department can expedite delivery from our national network of crane and hoist equipment suppliers. © 2016 Midwest Automation, Inc. All rights reserved.